April 11, 2011 Dan O. Could Streisand really save your life? A Southern schoolteacher, Nick Nolte travels to New York City and unloads a lifetime of horrific, repressed memories to a psychiatrist (Barbra Streisand) in order to help save his suicidal sister. I think this is one of those movies where you’ll either love it, or you will absolutely hate it. But as for me, I was just in the middle of it all. Seeing that this is directed by Barbra Streisand, your first idea would probably to run, and avoid this film at all costs. However, I was surprised by how she handles this material because it’s actually a good movie. I liked the emotional scenes that this film brought up about a broken childhood, and some of the more touching scenes are handled well. There were real issues in this film that were talked about and handled carefully, but well also. The look of this film was beautiful as well, some sights here will have you totally surprised that out of all people, Babs shot this. The problem with this film was that I think it relied too much on the romance rather than the story behind it all. I wish there was more scenes pertaining to Nolte’s character’s childhood, because when they were talking about it, or showing scenes of it, I found myself totally attached to the screen as well as the story. Other moments, especially by the end, start to step into glossy soap opera romance that in ways is actually pretty cheesy. The cliches at the end made cringe by how incredibly obvious and cheesy the lines were, but it didn’t bother me as much. I think the reason I wasn’t so pissed off about how the film starts to kind of fall by the last act is because it is directed Barbra Streisand, and I wasn’t expecting something as good as this. It may not be perfect, but for Babs, it’s a damn masterpiece. Nick Nolte probably gives one of his best performances of his career here, that actually won a Golden Globe over Anthony Hopkin’s famous work in Silence Of The Lambs. Nolte does a great job creating this lovable, goofy guy that has some shadows from the past, as everybody does, but how he goes about his days and time are just so perfect. Nolte makes us laugh, and he almost had me crying at one scene that really does show how good of an actor he really is. Poor guy, he just had to get that mug-shot didn’t he! Barbra Streisand is alright in this film as his lawyer, though I felt like she was trying a bit too hard in the second half of the film. I liked their romance, and I actually did believe it, which really did attribute to this film. There is also a very good supporting performance from Kate Nelligan, who plays Nolte’s mom and does a good job with the limited screen-time she is given. Also, the late, great George Carlin as Nolte’s New York neighbor, who happens to be gay. CLASSIC! Consensus: The Prince of Tides may dive into some cornball material, and miss the mark as a romance drama, but it shows that Babs can direct a film well, with some emotionally true scenes, and good performances from the cast, especially Nolte. I remember this film. 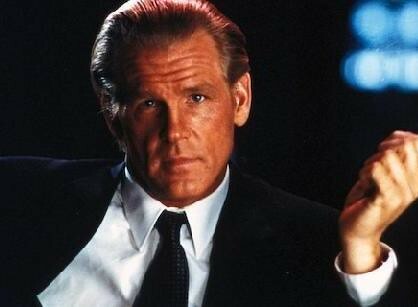 It’s an OK film though I wished they cut out a lot of the romance between Streisand and Nick Nolte. I didn’t care for it. That romance was alright, just not as good as the heart of the story. Nolte is the man!